With a Bluegreen Patrick Henry Square timeshare resale or rental, you can vacation in historical Williamsburg for less. Shop the selection of timeshares advertised by-owner on SellMyTimeshareNow.com and save up to 70% off the retail price. What’s My Patrick Henry Inn Timeshare Worth? Located just a half a block away from historic Williamsburg is the beautiful colonial-inspired resort, Bluegreen Patrick Henry Square. This prime location gives you easy access to all the best sights and sounds of the area. You'll find more than 500 historical building to explore and reenactments to experience—you'll feel like you've traveled back in time! 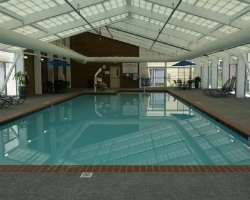 The resort itself offers a cozy environment with great amenities such as a fitness center and a game room for the kids. 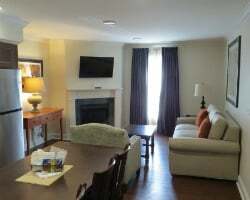 Accommodations are offered in studio, one-, and two-bedroom sizes and are all well-equipped with kitchens, plush furniture, and spacious bathrooms. Some units feature fireplaces to add to your comfort, while others give you private bedrooms to accommodate a larger family with plenty of space and privacy. 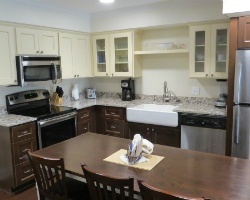 You'll be able to enjoy all the comforts of home while being steps away from the great attractions of Williamsburg. Ready to travel back in time with a Patrick Henry Inn Williamsburg VA timeshare resale or rental? Get started right away by filling out the simple form on the right of the page or calling us directly at 1-877-815-4227. Buying a Patrick Henry Square timeshare on the resale market gives you all the same benefits as someone who bought from the developer, while saving thousands of dollars. This is because resorts add on extra fees and sales commissions to the timeshare price, and those are not factored into the timeshare's true worth. On the resale market, owners advertise their properties for what they are actually worth, saving you up 70% off. And as a Bluegreen resort, you know are you get quality accommodations, services, and amenities with your purchase. Search through our inventory of Patrick Henry Inn resales and find a selection of deeded points-based timeshares available with annual and biennial usage. Each Bluegreen timeshare is allotted a specific number of points based on various factors. These points are used to choose when, for how long, and even where you choose to vacation each year—giving you incredible flexibility with your ownership. With no resale restrictions, buying a Bluegreen Patrick Henry Square timeshare on the secondary market automatically allows you to take advantage of the benefits that come with a Bluegreen Vacation Club membership. This membership allows you to use Bluegreen points to exchange your timeshare for a vacation at any of the quality Bluegreen resorts. Use your points to not only determine when or where you vacation, but also for how long you would like to travel. This ensures you can always fit a vacation into your busy schedule and that you have great selection of travel choices each year. While you have dozens of internal exchange options with Bluegreen Vacation Club, Patrick Henry Inn is also affiliated with the world's leading external exchange company, RCI. To take advantage of this affiliation, simply purchase an annual RCI membership for an affordable price. RCI's exchange services are simple and comprehensive, and with a membership, you will have access to thousands of top-rated resorts located in the most desirable travel destinations. RCI gives you virtually limitless vacation options, ensuring you always have new and exciting options for your next getaway. Bluegreen Patrick Henry Square also happens to be an RCI Silver Crown rated resort, giving you a higher trading power within their vast network. A Patrick Henry Inn Williamsburg VA timeshare resale or rental will provide you with a great location close to all the historical attractions while also offering great on-site amenities to enhance your stay. This laid-back setting features an outdoor heated pool, playground, game room, and fitness center. In walking distance, you'll discover a plethora of tours, reenactments, and museums to experience. There are even authentic 18th-century style activities to give you the real feeling of living in another time period. Just outside the city, there is even more to explore. Find local wineries, theme parks such as Busch Gardens and Water Country USA, plus plenty of shopping and dining spots to indulge in. 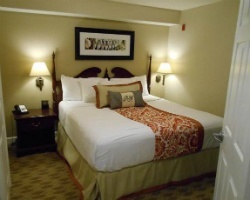 Already Own at Patrick Henry Inn?